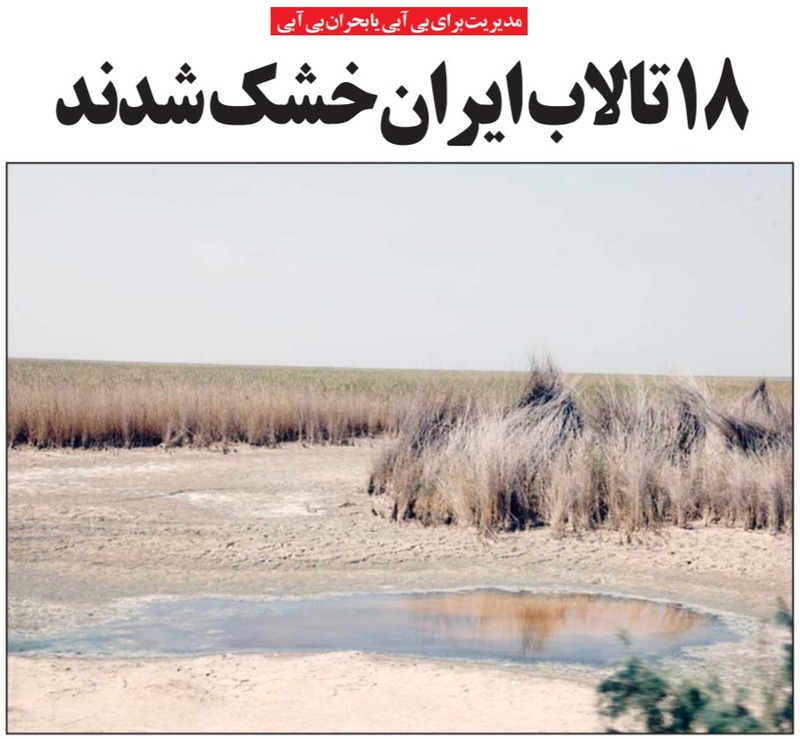 TEHRAN - Some 18 wetlands in Iran are completely dried up and some 24 are in critical condition, deputy chief of the Department of Environment, Masoud Tajrishi, has said. Tajrishi highlighted that the wetlands in Iran are not in a good condition and if the current trend of low precipitation continues the wetlands will turn to hotspots for sand and dust storms. "International working groups in Iraq, Syria and Saudi Arabia are established and have recognized the potential hotspots for sand and dust storms to reduce the crisis and in order to decrease the risks of sand and dust storms formation we must reform irrigation patterns and also adapt ourselves to water shortage," ILNA quoted Tajrishi as saying. "Water withdrawal from groundwater resources in 230 plains is forbidden and even so we are depleting these resources by withdrawing excessive 5-billion-cubic-meter of water," Tajrishi regretted. 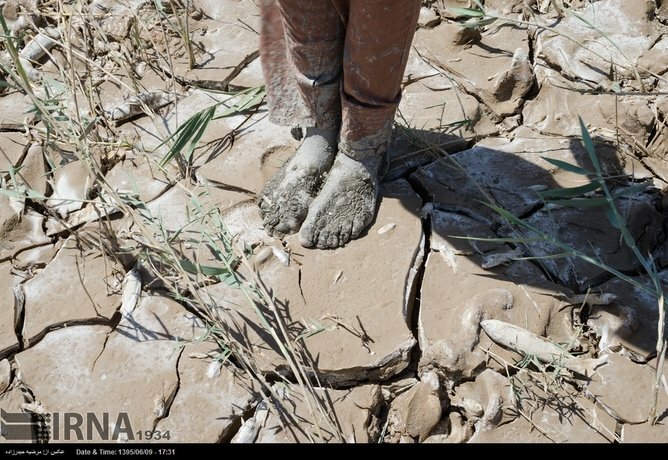 Mentioning Lake Urmia, northwestern Iran, which has gone through severe dryness over the past 20 years, Tajrishi said that compared to four years ago sand and dust storms occurrence and hotspots have decreased by 61 percent. "However, if we fail to increase the water level in the lake the current condition will persist," he said, stating, "in fact if we manage to increase water level by 1 and a half meters within the next four years 85 percent of the hotpots will be covered with water, the technical know-how is in place but we need the parliamentarians to cooperate with us." The lake was planned to be filled with 370 million cubic of water this year but once the water reached 220 million cubic meters the parliament members asked the Energy Ministry to stop the water from flowing into the lake, he regretted. Iran is located in an arid and semi-arid area, is facing water shortage due to low precipitation amounts and climate change coupled with shortsighted managerial decisions. Wetlands are drying up one after another, groundwater resources are depleting due to unsustainable agricultural practices and the dried up wetlands and plains will turn into sources for sand and dust storms which haunt people, especially those living southern, southwestern, and southeastern provinces every now and then.